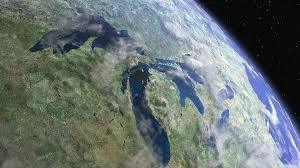 This category allows students to explore topics of concern for Michigan’s most distinctive geographical feature. In this category, students consider the intersections of politics, business, and such topics as health, energy, and infrastructure in Michigan. In this category, students post essays on topics of concern for children as well as their parents, educators, and health care providers. South Sudan: Is Help on the Way? Hello! My name is Seán Henne. I am a professor of English and Education at West Shore Community College. The purpose of this site is to provide space for my students to learn about and experiment with publishing digital content online. If you poke around here, you’ll see some developing projects designed to provide information about contemporary issues both regionally here in Michigan and in sub-Saharan Africa.